I've decided to periodically find a different API to write about. While the ones I've written about thus far give you access to data - public data like ISS sightings and amazing space photos, and personal data like your Instagram photos and Dropbox files - an API can return other things too. Here's an API that returns random numbers, GUIDs and other values, and provides an opportunity to customize what it returns. If you're unfamiliar with APIs, you might want to read this first to familiarize yourself with them. 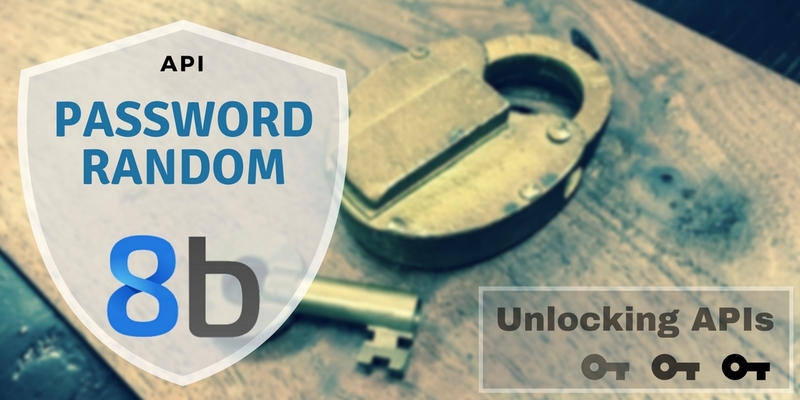 The PasswordRandom API provides random values - and not just passwords as the name would seem to suggest. It also generates GUIDs, random numbers, characters, etc. Better yet, it has parameters for the number of results you get back (like 10 GUIDs at once), and other ways to configure or limit the numbers and passwords you get back too. If you're developing an app that will, for whatever reason, generate a GUID or return such a value to the user, you have a choice. Some languages have built-in libraries that return a GUID for you. Others require downloading a third-party and taking on another dependency. If you didn't want that dependency for some reason, you could call this API instead. As for everything else it offers.. well, you may find a reason to use it, so let's check it out. This API doesn't require any authentication, nor does it have documented rate limits. You can request the format (plain, xml, json) and other filters too. You can specify the number of globally unique identifiers (GUIDs) you'd like back, as well as the format in which to return them. ... as well as random floats. Strangely, getting random floats with a range only works if the range is integers. If you try to specify a max of 18.2, it returns values all over the place... even outside the default range of 0 to 100. If you click on the scheme link next to "password" field, you'll find a lot more options to generate the exact string you need.